Two men have been cleared of holding a man at gun point in a Peterborough home. 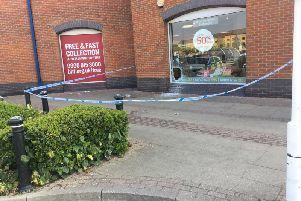 Mark Appleby-Johnson (29) and Derek Nash (42), both of no fixed abode, were both charged with robbery, false imprisonment, blackmail, possession of a firearm and possession of a firearm with intent to cause fear of violence. Following a trial at Peterborough Crown Court a jury found both men not guilty of all the charges. The court had been told it was alleged Matthew Walden was held prisoner by Mr Appleby-Johnson and Mr Nash in the property in Eyrescroft, Bretton on September 8 last year. It is claimed he was told he would be shot and killed - but said he managed to escape through a window. Mr Appleby-Johnson told the jury he had been threatened by an unknown man in his own home in Eyrescroft, Bretton, after falling into a drug debt with Mr Walden.